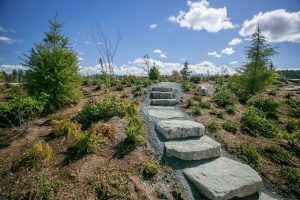 Why Choose Ten Trails for Your New Hometown? Ten Trails is a new master-planned community with a family-friendly lifestyle. More than just a community, we are a destination for active families! Our community offers a unique lifestyle that is unparalleled in the Puget Sound region. With a prime location, minutes from regional recreation activities and area jobs, and countless community amenities, Ten Trails has everything you need for your family’s New Hometown! 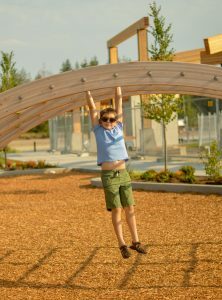 First and foremost, Ten Trails offers a unique lifestyle for active families. 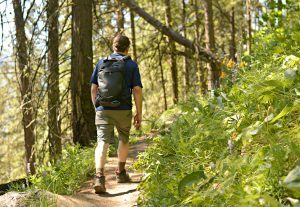 Many of the region’s most sought-after recreational activities can be found right within the community, or just minutes away. Our community’s shared amenities like our neighborhood fire pits, seating areas and parks promote socialization and connection with neighbors. Outdoor activities like hiking, mountain-biking, swimming, kayaking and canoeing are all located right outside of the community. Secondly, Ten Trails offers miles of walking, biking and nature trails that connect neighborhoods, parks, green spaces, schools, and the retail center. Neighbors can join one another for a stroll, and kids can safely ride their bikes to parks and future schools. The community’s spectacular parks offer majestic views of the Cascades and Mt. Rainier, and have space designated for summer concerts, festivals and movie nights. Enjoy basketball, a zip line, bocce ball, a jungle gym and playground all right within Ten Trails. Ten Trails also features a convenient retail shopping plaza located right by the entrance to the community. Residents will have quick and easy access to stores and businesses for day-to-day errands, entertainment and dining. In addition, Ten Trails offers gorgeous homes from both regional and national builders. 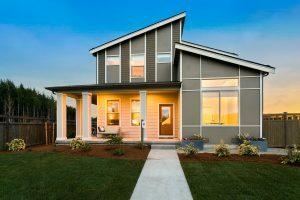 Conner Homes and Lennar are currently building in the community, and builders, Ichijo, Rudd and Richland American plan to break ground in Ten Trails by the end of 2018. We will offer every type of home in the community, so there’s something to suit every family’s needs. Most importantly, as a Ten Trails resident, you will be part of an emerging, unique community while also being a resident of historic Black Diamond. The City of Black Diamond offers endless natural beauty, rich history and a quaint downtown commercial district. Be part of a close-knit community while enjoying getting to know your new friends and neighbors in Ten Trails! Take a stroll, through Black Diamond’s charming historic downtown, enjoy treats from the historic Black Diamond Bakery, go antique shopping, visit a nearby pick-your-own farm, learn the regional’s rich history at the Black Diamond Museum, and take part in annual festivals like Miner’s Day and Labor Days. Finally, Ten Trails enjoys a prime location, nestled among natural beauty, and close to popular recreation destinations. Because residents have easy access to public transportation, shopping, dining and the region’s jobs, finding things to do and access to work is a breeze in this new community.